They call the All-Star break the midpoint of a baseball season. It’s not really, since teams have played well over half of their 162 games. But it’s still a good time to look back and see how everyone is doing. 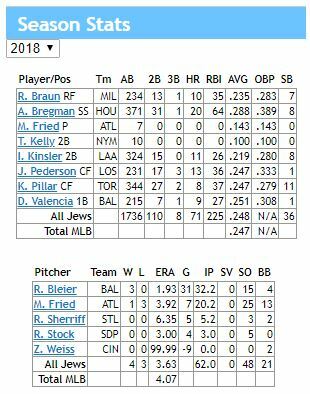 As you know, Alex Bregman killed it at the All-Star Game, winning MVP honors for his go-ahead home run in the 10th inning. And that’s on top of what so far has been a very good season both for the second baseman and his Houston Astros, who have the second-best record in the American League at 64-35 and lead the Western Division by five games over the Seattle Mariners. Gabe Kapler started out slowly as the new skipper for the Philadelphia Phillies. His unorthodox (no halacha intended) manner had some calling for his ouster after just a couple of weeks. But now he’s got the Phils in first place in the NL East at 53-42, a half game ahead of the Braves. Richard Bleier, Baltimore Orioles (28-39, fifth in AL East). Bleier was probably the best pitcher on the woeful O’s. He hit a bit of a snag shortly before an injury put him on the disabled list for the rest of the year. Ryan Braun, Milwaukee Brewers (55-43, second in NL Central). 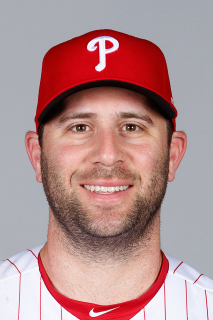 We can all agree this has been a disappointing half-season for the Hebrew Hammer, who has appeared in just 71 of the team’s 98 games, suffering through a bunch of nagging injuries and currently on the DL (20 days missed). Max Fried, Atlanta Braves (52-42, second in NL East). The second year hurler has been up and down with the Braves. He had one brilliant game then went on the DL with blister issues on July 6 and hs yet to return (14 days lost). Ty Kelly, NY Mets (39-55, tied for last in NL East). Kelly — who played for Team Israel in the 2017 World Baseball Classic and has been deemed “kosher” by the powers that be — rejoined the Mets as a free agent in January. They brought him up on July 9. Ian Kinsler, LA Angels (49-48, fourth in AL West) also spent some time (13 days) on the DL with an ab muscle problem. Some teams offer “mid-season report cards.” Here’s his (and it’s pretty harsh). Joc Pederson, LA Dodgers (53-43, first in NL West). A slow start — when he did actually start as opposed to coming in as a pinch-hitter or defensive replacement — didn’t prevent Pederson from having a great June in which he hit 10 of his 13 home runs. Kevin Pillar, Toronto Blue Jays (43-52, fourth in AL East) is the latest JML to go on the DL after jamming his shoulder just before the break. Of course it came making one of his fine defensive plays. Looks like he’s going to be out a considerable amount of time. A shande. Ryan Sherriff, St. Louis Cardinals (48-46, third in NL Central) is also out for the year, having appeared in just five games. Richard Stock, San Diego Padres (40-59, fifth in NL West) made his MLB debut on June 24, striking out two and allowing one hit against the host San Frsancisco Giants. He was sent down after three more appearances. Danny Valencia, Orioles, has had a pretty good season considering. Zach Weiss, Cincinnati Reds (43-53, fifth in NL Central). Like Bleich, Weiss had an inauspicious debut in 2018. He gave up back-to-back home runs to the first two St. Louis Cardinals he faced on April 12 then walked two more before departing. ERA: Infinity. That was his only outing in the bigs so far, but we expect him back.